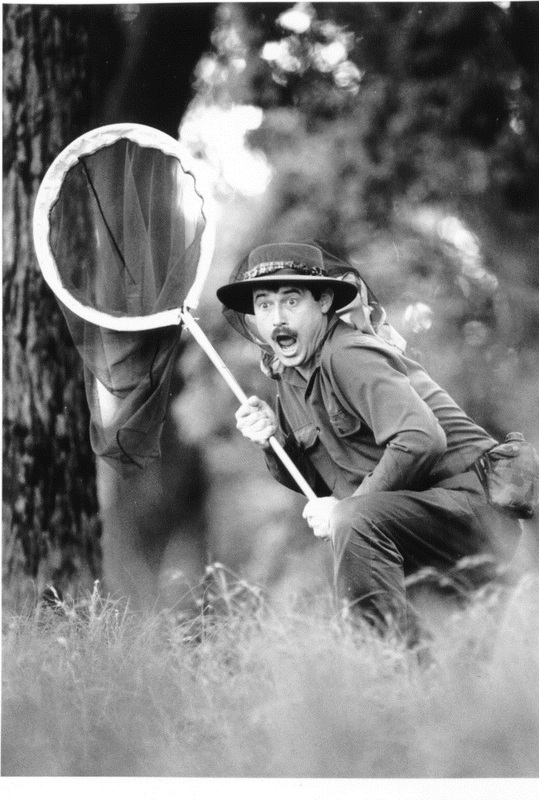 Combining the knowledge of David Attenborough, the humour of Robin Williams and the daring of Indiana Jones, Philip’s infectious enthusiasm and expertise has been shared with over 280,000 students throughout Australia, USA, Central America and NZ, and has visited over 1200 schools in Australia alone presenting his range of highly acclaimed eco-science shows. Philip Green has a large collection of museum-quality artefacts which he brings to school shows. He is also a National Geographic photographer, and projects his amazing photos at every presentation. Philip has visited or lived with indigenous communities in North and Central America, New Zealand and Australia. In his eco-safaris across Australia, Philip has visited with local Aborigines living in Kakadu wetlands, outback deserts, inland river systems and mountain forests. His wide-ranging knowledge, real life experiences and hugely enthusiastic presentation style make an enormous impact on students. Most shows are supported by extensive pre- and post-visit materials. This dynamic presentation will give your students a visual and tactile experience of traditional technologies used by indigenous peoples across the varied environments of Australia’s deserts, mountains, rivers and sea shores. Philip Green has a large collection of museum-quality artefacts which are given out in multiple touch-boxes for students to examine and handle. A National Geographic photographer, Philip will use his stunning photos in an audio-visual presentation of the native plants and wildlife used for food, clothing, medicine, shelter, weapons and art. Philip has visited or lived with indigenous communities in North and Central America, New Zealand and Australia. In his eco-safaris across Australia, Philip has visited with local Aborigines living in Kakadu wetlands, outback deserts, inland river systems and mountain forests. He has collected artefacts and inspected Aboriginal sites in every Australian state. These experiences have inspired him to produce a cultural show that gives students the opportunity to connect hands-on with the survival technologies of Australia’s First People. Philip has visited over 1200 schools across Australia presenting his range highly-acclaimed of eco-science shows. Please note, this show requires a venue which can be darkened to show projections. – DYNAMIC audio-visual show of bizarre bug behaviour, life cycles and food webs, etc. – DISCOVER some Creepy Crawlies in your school grounds, Awesome! Phillip takes the students on a journey of discovery through 5 Australian ecosystems – Rainforest, Desert, Woodlands, Wetlands and Marine. – TOUCHING! Habitat and wildlife monitoring equipment. – FEELING! Marine habitat specimens such as shark’s jaws! Really awesome! – DEMONSTRATING! methods of finding wildlife from scats, skulls, scratches, hoots and howls! – PARTICIPATING! as students are turned into 4 Aussie habitats and demonstrate plant/tree profiles and rainfall. An awesome, kinesthetic learning curve for all ages. Your students will be amazed at the biodiversity around your school. During Philip’s visit, he will offer some practical ideas of how you can use local bio-diversity that you find within walking distance of your classroom as an ongoing teaching resource. Philip has visited or lived with indigenous communities in North and Central America, New Zealand and Australia. In his eco-safaris across Australia, Philip has visited with local Aborigines living in Kakadu wetlands, outback deserts, inland river systems and mountain forests. He has collected artefacts and inspected Aboriginal sites in every Australian state. These experiences have inspired him to produce a cultural show that gives students the opportunity to connect hands-on with the survival technologies of Australia’s First People. Philip has visited over 1200 schools across Australia presenting his range highly-acclaimed of eco-science shows. Birds of Australia B-B-Bad, Beautiful and Bizarre! Following a dynamic audio visual presentation of his own world-class slides, Philip lets students’ eyes, ears, fingers and imaginations run wild with his museum quality specimens and artefacts. He vividly brings to life eight native tree genera, the wildlife that calls them home and the many uses indigenous people have put them to for thousands of years. Moving outdoors, he then get students looking at nature in ways they’ve never done before. SEE – Genuine Aboriginal Tree Artifacts. Students of all ages will never be able to think about water in the same way after they have participated in this inspiring Wild Man Eco-Sustainability Show. – Water-dependent Life Cycles of Flora & Fauna. – Interconnection of all life in a catchment. – Effects of Flood and Drought. – Aborigines and their use of water.